Over the weekend, Liz Dafoe from Upland Design participated in a community build in her hometown of Frankenmuth, MI. 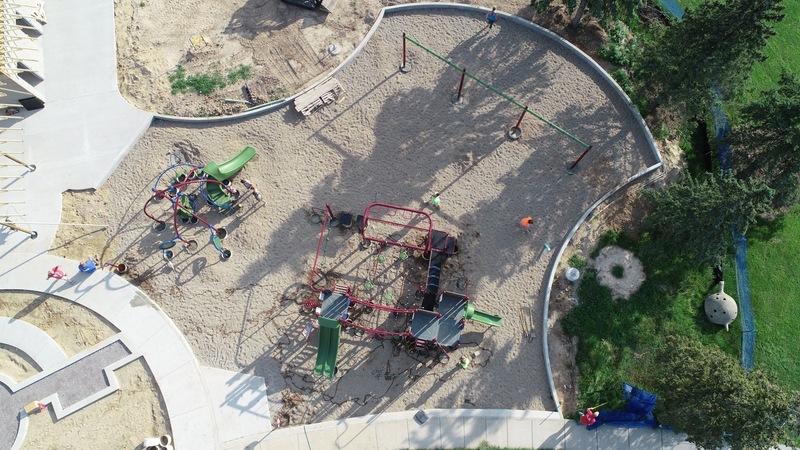 Over 40 volunteers came together to help construct play equipment from Landscape Structures. 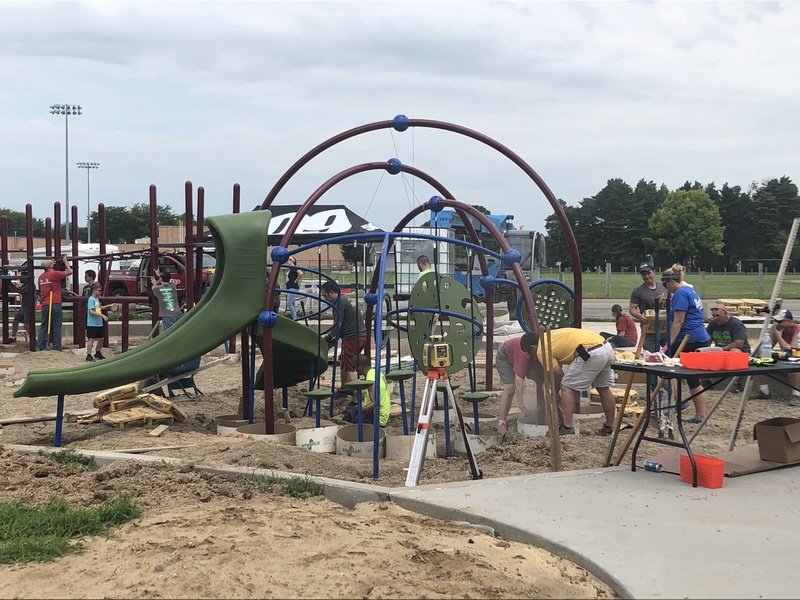 A 2-5 year old Weevos structure, 5-12 year old Venti Structure and swings were all pieced together and placed on Saturday. 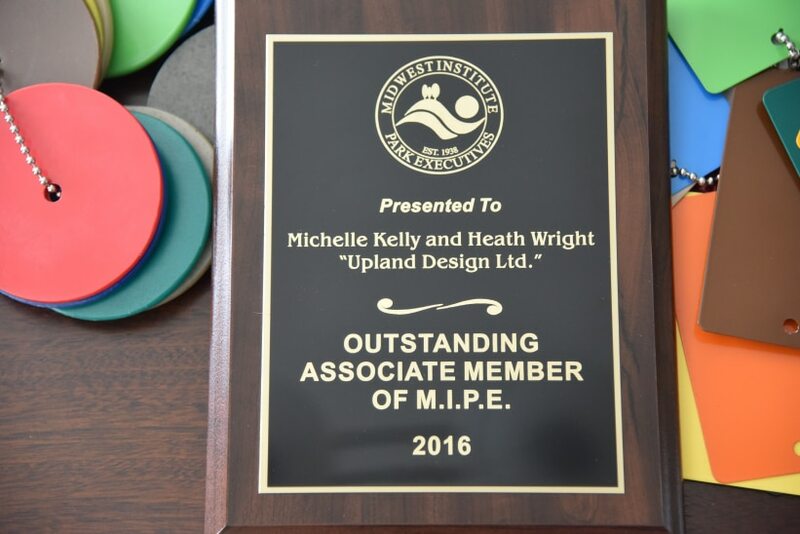 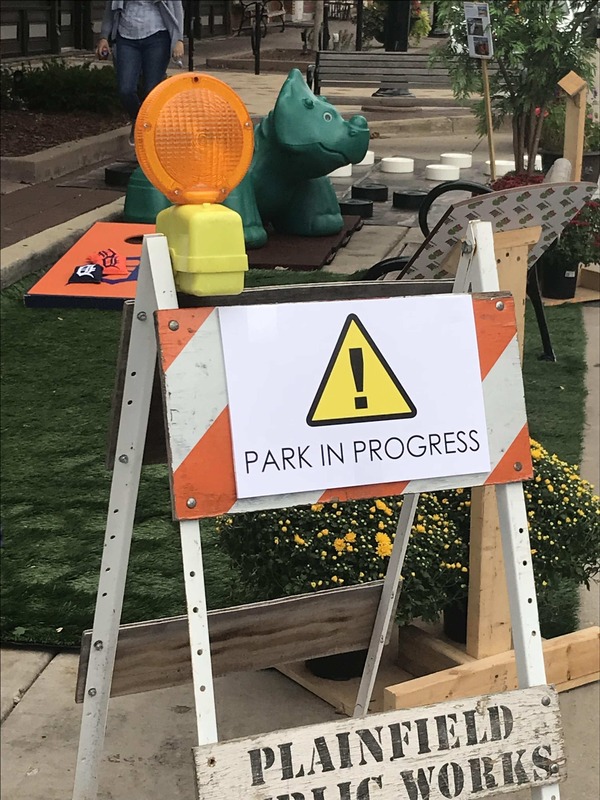 Upland Design has been assisting the Frankenmuth Jaycees with plans for a new splash pad, playground and sensory garden. 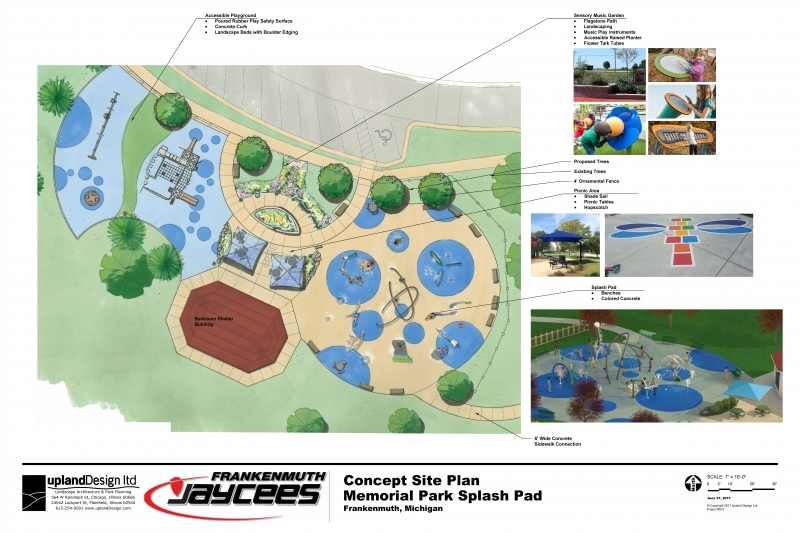 The Jaycees have raised almost a million dollars for the park improvements and restroom building located behind the high school in Memorial Park. 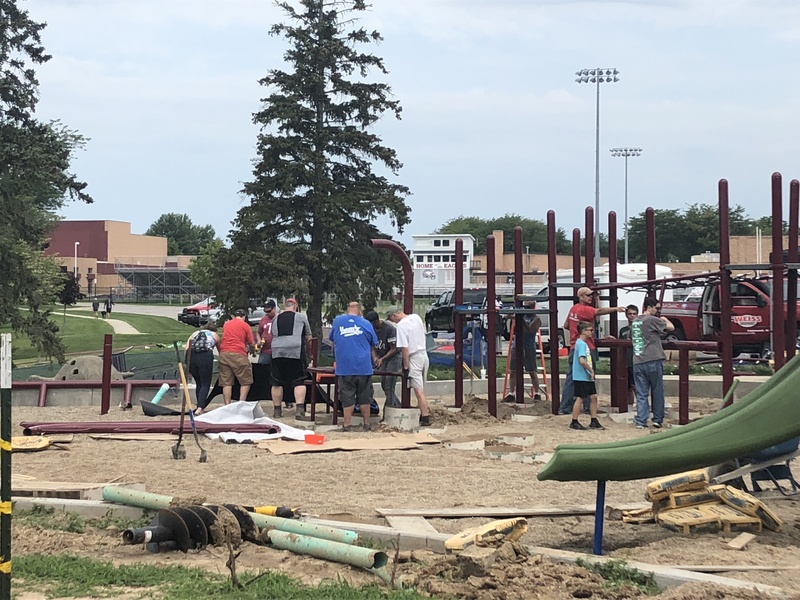 Construction started earlier this spring with the help of numerous donations and volunteer hours. 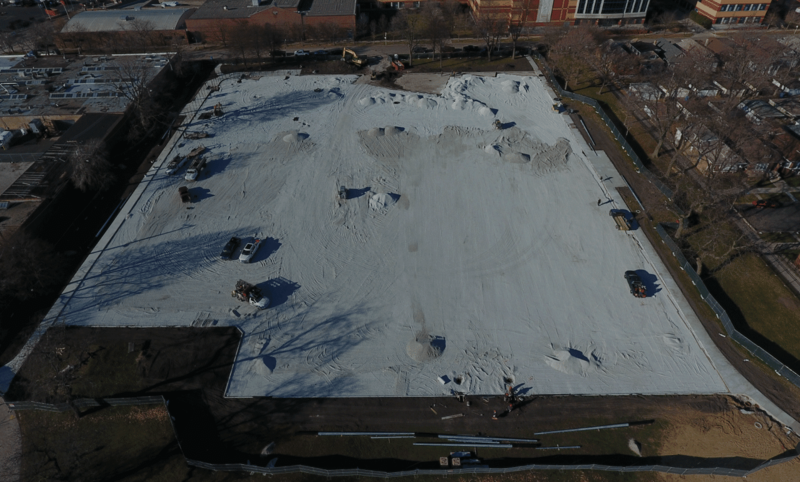 Play surfacing and concrete at the splash pad are next on the schedule with completion scheduled for this summer. 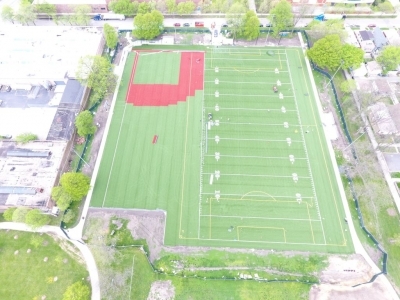 Drone photos provided by Brent Weiss.